Your choice can make a big impact, for both your appearance and a cause!Enjoy both a touch of luxury, and the satisfaction of making a positive contribution, with jewelry from Big Cat Rescue. 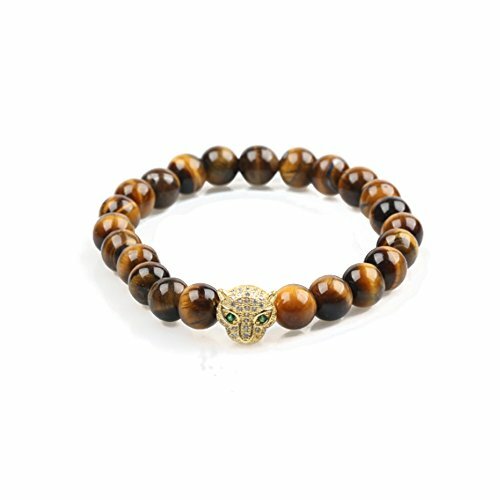 All our earnings go to protecting big cats in the wild, as well as caring for rescues in our accredited Tampa, FL sanctuary.Add some genuine, natural warm beauty to your life - and the lives of others.You'll enjoy the long-lasting, enduring and durable style of actual tiger-eye semi-precious stone, and create a legacy not only for yourself or those you give it to, but for the animals you'll be supporting. Give the gift of beauty, and of support, with Eye of the Tiger spirit and strength.About Us:Big Cat Rescue is one of the world's largest accredited sanctuaries for exotic animals. BCR is a leading advocate in ending the abuse of captive big cats and saving wild cats from extinction. They are home to lions, tigers, bobcats, cougars, servals, caracals and other species of animals, most of which have been abandoned, abused, orphaned, saved from being turned into fur coats, or retired from performing acts. Thanks for your support. About Magnetic Hematite Stone Hematite is a stone that is most commonly and most strongly healing stone. Hematite crystals have an excellent grounding and balancing energy, as well as being a powerful aid to stimulate the mind. They enhance memory and evoke deep thought.It is a perfect gift for your beloved friend or yourself. 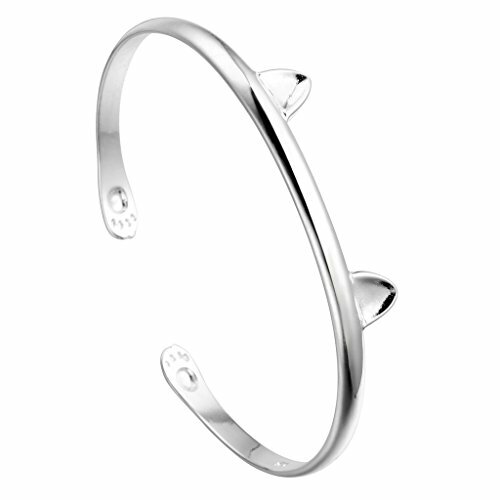 About Cat Eye Jewels Cat Eye Jewels is a fashion jewelry brand. 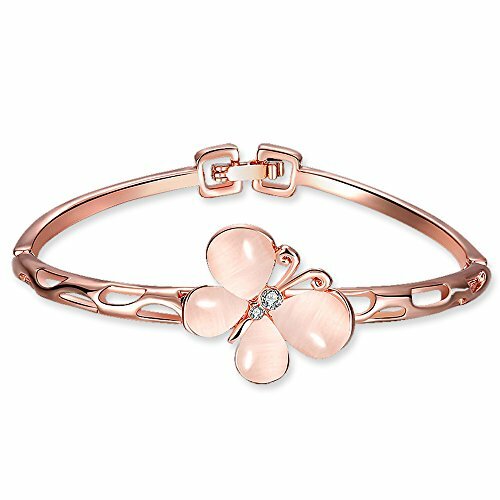 You can find various elegant, funny and amazing fashion Jewelries like Bracelets, Necklaces,Earrings etc.in our store. You can also find the energy of Love,Lucky,Reliability,Faith, Happiness and Power etc. on our Jewelries About Customer Service We always have an eye to good customer service as we receive orders. Your reviews for this new arrived item will help us catch the things you facus on and make the things better. If you have any question about order and product,pls send us message.We will reply your message within 24 HOURS. Your choice can make a big impact, for both your appearance and a cause!Enjoy both a touch of luxury, and the satisfaction of making a positive contribution, with jewelry from Big Cat Rescue. 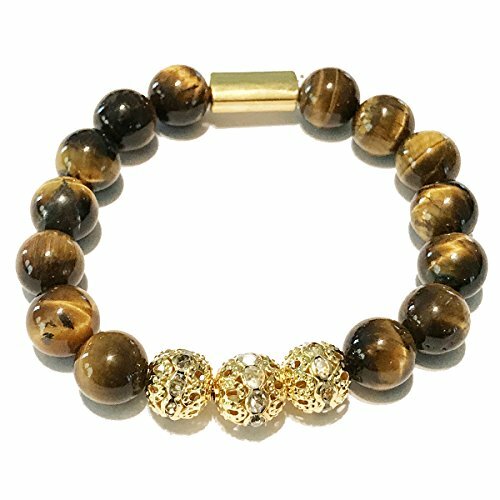 All our earnings go to protecting big cats in the wild, as well as caring for rescues in our accredited Tampa, FL sanctuary.Add some genuine, natural warm beauty to your life - and the lives of others.You'll enjoy the long-lasting, enduring and durable style of actual tiger-eye semi-precious stone and glittering zircons and crystals to create a legacy not only for yourself or those you give it to, but for the animals you'll be supporting. Give the gift of beauty, and of support, with Eye of the Tiger spirit and strength.About Us:Big Cat Rescue is one of the world's largest accredited sanctuaries for exotic animals. BCR is a leading advocate in ending the abuse of captive big cats and saving wild cats from extinction. They are home to lions, tigers, bobcats, cougars, servals, caracals and other species of animals, most of which have been abandoned, abused, orphaned, saved from being turned into fur coats, or retired from performing acts. Thanks for your support. 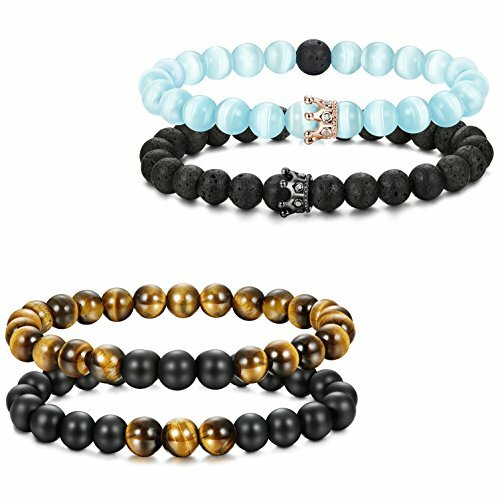 Karseer Black Matte Onyx and Lava Energy Stone Beaded Stretch Bracelet, Retro Bronze Crystal Brain Skull Charm with White Cat Eye Stone Decorate Personality Bangle Jewelry Birthday Gift Unisex 7"
Karseer Jewelry leads fashion and novelty, which is the best gift affordable for everyone. It's the thought that counts. Express yourself with this marvelous gift to bring them surprise and happiness. 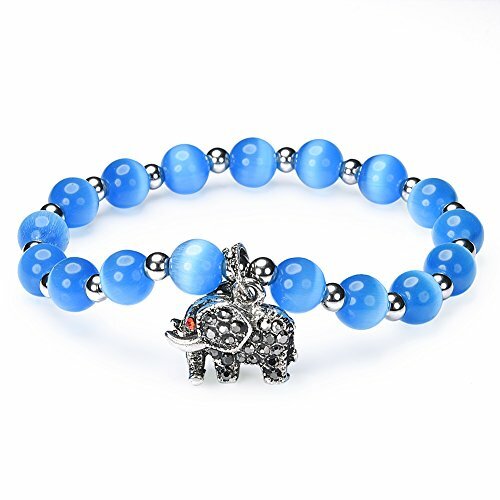 Absolutely Unique and Special Amulet Bracelet. Created as Sri Yantra Chakra Magical and Protection Energy Amulet. Adorned with Round Cabochon holding Sky Blue Simulated Cats Eye Crystal. Each of these Unique Bracelets are made from Genuine Leather and may be adjusted to fit smaller or bigger wrists. This Bracelet is made from Black Genuine Leather and Looks Amazing. Bracelet Tag is Curved to fit with the Wrist Shape and is made from Highly Polished and Beautiful Stainless Steel. 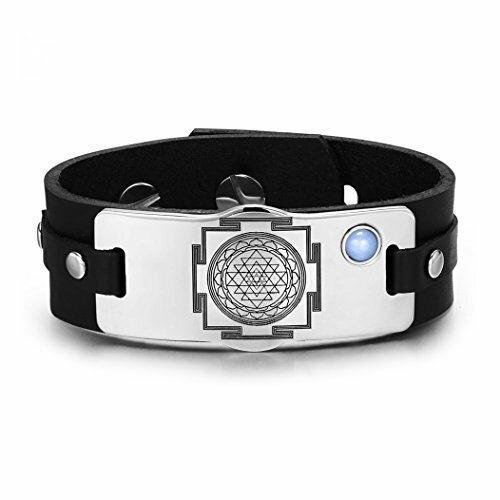 Stay Unique and Special with your Own Sri Yantra Chakra Magical and Protection Energy Amulet Bracelet. Amulet meaning: Sri Yantra Chakra Talisman. Helps Meditation and Concentration. Representation of the Jewel in the Lotus, The mystical symbol of all creativity. Worn for protection and good luck. Recharges your Chakra and creates positive energy all across. 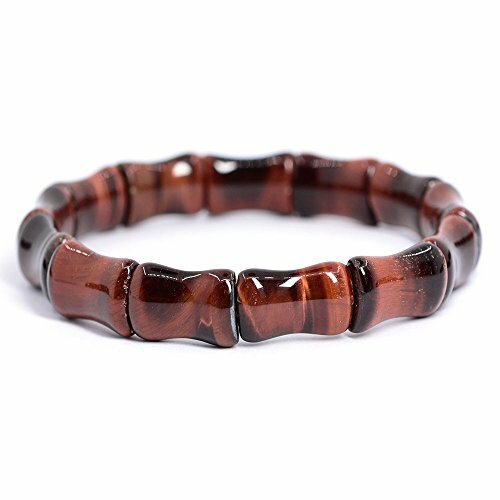 Natural Red Tiger's Eye Gemstone Bamboo Joint Beads Elastic Stretch Bracelet 7"
The bracelet include about 13pcs 16mm bamboo beads, you will receive the similar item as picture, pls note the stone is unique, the color and detail on stone will be different for each other. 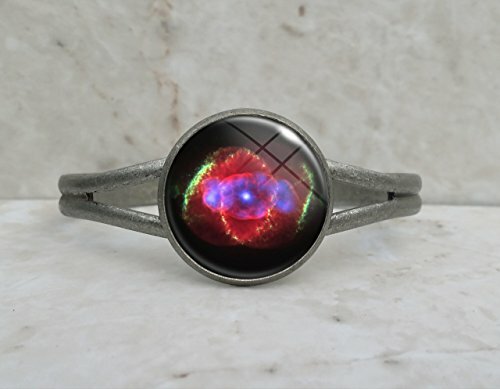 Copyright © Wholesalion.com 2019 - The Best Prices On Cats Eye Cuff Bracelet Jewelry Online.